LOS ANGELES - St. Clair Bourne, a prominent independent documentary filmmaker whose work focused largely on black social and political issues and cultural figures such as Paul Robeson and Langston Hughes, has died. He was 64. Mr. Bourne, a resident of Brooklyn, N.Y., died Saturday of pulmonary embolisms after undergoing surgery for the removal of a benign tumor on his brain, said his sister, Judith Bourne. In a career that began in the late 1960s as a producer for the public-affairs series "Black Journal" on public television, Mr. Bourne launched his production company, Chamba Mediaworks, in New York in 1971. Over 36 years, he produced or directed about 45 works, including documentaries for HBO, PBS, NBC, CBS, BBC, Sundance Channel, and National Geographic. Among his most notable films was "Half Past Autumn: the Life and Works of Gordon Parks" (2000), an Emmy-nominated, feature-length documentary about the renowned photojournalist. Other biographical subjects included poet-activist Amiri Baraka, historian and Pan-African activist John Henrik Clarke, and Hughes, the poet and playwright. "Black men who define themselves from an Afrocentric point of view fascinate me - how they succeeded and overcame opposition," Mr. Bourne told American Visions in 1999, the year "Paul Robeson: Here I Stand," his documentary about the singer-actor-political activist, was part of the PBS series "American Masters." Mr. Bourne's films, however, spanned a variety of topics, including religion in "Let the Church Say Amen!" The 1974 documentary portrayed a young black seminarian moving into the secular world. He also dealt with popular music in "Big City Blues" (1986) and the role of blacks in the American West in "Heritage of the Black West" (1995). 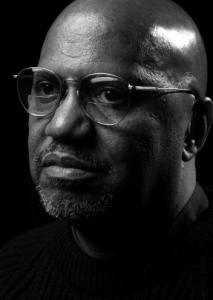 He produced and directed "The Black and the Green," a 1983 documentary chronicling a fact-finding trip to Belfast, Northern Ireland, by five black American activists, and found that many Catholics there had been influenced by the civil rights movement. As the Washington Post reported then, "In the Belfast ghetto, the delegation members are strangers in a familiar land of crushed tenements, graffiti-stained walls, and heavily armed law officers." The movie, Mr. Bourne told the Post, "ends up seeming pro-Irish Republican Army in the same sense that a film about Selma in the '60s might have ended up seeming pro-black, but then I'm a filmmaker from the '60s. I try to be humanistically political." Six years later, he produced and directed "Making 'Do the Right Thing,' " a behind-the-scenes look at Spike Lee's feature film about race relations in Brooklyn's Bedford-Stuyvesant neighborhood. The well-reviewed documentary received a national theatrical release. "For the last 25 years, he was one of the most important African-American nonfiction filmmakers on the scene," said Sam Pollard, who met Mr. Bourne in 1980 and edited five of his films. "When I met Saint, I was a 30-year-old African-American male who grew up in New York City like he did," Pollard said. "He reenergized and refocused what my mission should be as a filmmaker, to document the African-American experience and make people aware that it's an important part of the American experience that can't be denied." Lou Potter, who wrote a number of Mr. Bourne's documentaries, said Mr. Bourne's "work certainly inspired a lot of people to get into the field; he was a mentor to a lot of young artists. At the time he got started it was a very, very small field [for blacks]." Although there were a number of documentaries dealing with racial issues being made at the time, Potter said, "they typically were not being addressed by media from an African-American point of view. "They were doing it from the outside looking in; he was doing it from the inside looking out." Last February, Mr. Bourne received the 2007 Pioneer Award from the Pan African Film & Arts Festival in Los Angeles. "There's an African term called jali, and it means one who carries the spirit of the people and carries the story of the people," said Ayuko Babu, executive director of the festival. "That was him." Born in Harlem, Mr. Bourne was the son of St. Clair T. Bourne, a well-known journalist who worked for the New York Amsterdam News. Mr. Bourne began studying at the School of Foreign Service at Georgetown University. He dropped out after he was arrested for participating in a sit-in at an Arlington, Va., restaurant that refused to serve him. Mr. Bourne joined the Peace Corps and spent two years in Lima, where he helped publish a local newspaper whose transformation into a national award-winning publication led Ebony magazine to do a feature on him. After graduating from Syracuse University in 1967, he won a scholarship to Columbia University's Graduate School of the Arts, where his involvement in the radical black student movement led to his expulsion when he was among the students arrested for taking over the administration building in 1968. Mr. Bourne landed a job as an associate producer on "Black Journal," on a recommendation from one of his professors. He quickly rose to become a producer of documentary films for the series.